A Virginia man accused of running a Pakistani-financed program to influence American policy toward the disputed Kashmir region can be released on bond once his wife surrenders her passport and other conditions are met, a federal judge ruled late Tuesday afternoon. Syed Gulam Nabi Fai will be subject to electronic monitoring while awaiting his trial. The allegation that Pakistan routed more than $4 million to Fai to give to politicians and organize programs related to Kashmir is the latest in a series of revelations that have taken U.S.-Pakistani relations to the brink. The May 2 Navy SEAL strike killing Osama bin Laden in a walled-compound in Abbottabad, Pakistan accelerated the deterioration of already strained relations. Incredulous American officials openly doubted Pakistani claims that bin Laden's presence was unknown to, and unsupported by, people in the government. In just the past month, American officials have issued the Fai complaint, accused Pakistan of complicity in the brutal murder of a journalist, and frozen $800 million in military aid. Those actions come on the heels of testimony in a Chicago prosecution which indicated members of Pakistan's Inter-Services Intelligence (ISI) spy agency played significant roles in the 2009 terrorist attacks in Mumbai which killed more than 160 people. India suspects another ISI-connected terrorist group, the Indian Mujahideen (IM) was behind last week's coordinated bombings in Mumbai which killed more than 20 people and injured more than 100 others. The suspension of military aid came after Pakistan's expulsion of American military trainers. The $800 million at issue is about a third of annual U.S. aid to Pakistan. The Pakistanis "have taken some steps that have given us reason to pause on some of the aid we're giving to the military," said White House Chief William Daley. Days earlier, Joint Chiefs of Staff Chairman Mike Mullen implicated Pakistani authorities in the brutal murder of a prominent journalist who had investigated ties between Islamist militants and the country's military. During a Pentagon news briefing, Mullen had alleged that the torture and subsequent killing of journalist Syed Saleem Shahzad had been "sanctioned" by the Pakistani government. Shahzad, who worked as a correspondent for Adnkronos International and was the Pakistan bureau chief for the Hong Kong-based Asia Times Online, was abducted in Islamabad on May 29, two days after publishing an article alleging al-Qaida infiltration in the ranks of the Pakistani military. 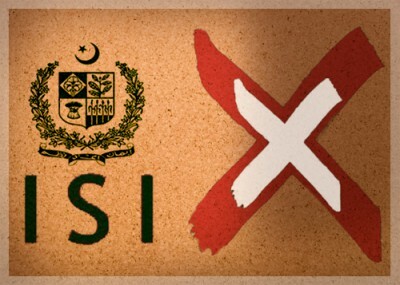 The ISI denied any role in Shahzad's killing. Recent reports, however, continue to detail the ISI's strong support for terror in the region. Classified military documents released in July 2010 by the whistleblower website WikiLeaks exposed the ISI's links to Afghan insurgent forces fighting U.S. and NATO troops in the region. The more than 90,000 secret military and diplomatic reports detail meetings between senior Pakistani intelligence officials and Taliban and al-Qaida leaders to plan attacks against U.S.-led coalition forces. The documents specifically mention discussions between former ISI chief Hamid Gul and Afghan mujahideen leaders Gulbuddin Hekmatyar and Jalaluddin Haqqani, who have been known to plot some of the most lethal attacks against U.S. troops. A study released last year by the London School of Economics described ties between the ISI and Afghan insurgents. The report, based on interviews with captured insurgents and counterterrorism officials, claims the ISI provides "substantial financial, military, and logistical support" to the Afghan insurgency. A United Nations report corroborates the Pakistani military and ISI's support for jihadist groups in the region. The ISI has also historically supported Kashmiri jihadist groups, several of which are on the State Department's list of foreign terrorist organizations, as part of the Pakistani government's efforts to wage a low-intensity proxy war against rival India. Recently released disclosures regarding Pakistani detainees at Guantanamo Bay tie India-focused terrorist groups such as the Lashkar-e-Tayyiba (LeT), Jaish-e-Muhammad (JeM), Harkat ul-Jihad-Islami (HuJI), and Harkat-ul-Mujahideen (HuM) to the ISI. The LeT was responsible for the November 2008 terrorist strike on Mumbai when 10 gunmen from the terrorist group launched a frontal assault on several high-profile targets in the city killing 166 people, including six Americans, in a siege that lasted three days. During testimony at a recent trial in Chicago, a confessed plotter of the 2008 Mumbai attacks recounted his recruitment, training and handling by former Pakistani military officers and ISI members. David Headley, an American Lashkar operative from Pakistan who pleaded guilty in March 2010, was the prosecution's star witness in the trial of Chicago businessman Tahawwur Rana whose immigration company provided cover to Headley to undertake surveillance missions on a variety of targets in Mumbai and other Indian cities. Rana was found guilty of plotting an attack on a Danish newspaper and providing support to Lashkar but cleared of the more serious charge tying him to the Mumbai attacks. Headley's testimony was consistent with statements he made earlier to Indian investigators from the National Intelligence Agency (NIA). A 119-page report on Headley's interrogation was first reported on by the Guardian and posted later on the Internet. "Every big action of LeT is done in close coordination with ISI," Headley told his Indian interrogators. Headley also alleged that ISI officials "have a profound influence and great control over the top brass of the LeT." The Mumbai attacks were planned in part to halt the growing integration between Kashmiri jihadi groups and "Taliban-based outfits," he said. Several of the Kashmiri jihadist groups were shifting their focus from Kashmir and India to Taliban-sponsored jihadist activities in Pakistan and Afghanistan. The ISI orchestrated the Mumbai carnage to redirect the focus of these groups to India and thus move "the theater of violence from the domestic soil of Pakistan to India." The ISI is also a key sponsor of the Karachi Project, Headley claimed. That program trains Indian militants to wage terrorist attacks on major urban centers in India. The Project based in the southern Pakistani port city of Karachi also includes Pakistan-based terrorist groups, such as the LeT and HuJI, and has ties to the criminal underworld. The Indian Mujahideen that was implicated in the Mumbai serial bombings this month is part of the Karachi Project. IM operatives have been affiliated with the LeT, HuJI, and the Student Islamic Movement of India (SIMI). SIMI, banned by the Indian government in 2001, has its roots in the Jamaat-e-Islami (JI), a radical Islamist movement in South Asia. SIMI has declared that "Islam is our Nation, not India," and hailed slain al-Qaida leader Osama bin Laden as the "true Mujahid." Headley mentioned two Karachi-based groups directing terrorist activity in India. One is led by Abdur Rehman Hashim Syed (also known as "Pasha"), a retired Pakistani army major and co-defendant in the Rana trial, and the other, by Lashkar member, Sajid Mir. "The Karachi set up of Pasha has the complete backing of the ISI," Headley said. He also added that Pasha's ISI handler, Colonel Shah, "was actively involved in the Karachi Project." "Pasha," a retired Pakistani army major and co-defendant in the Rana trial, introduced Headley to al-Qaida leader Ilyas Kashmiri to seek his assistance in plotting an attack on the offices of the Danish newspaper Jyllands Posten after Lashkar backed out of the operation. Kashmiri was reported killed in a U.S. drone strike in the tribal areas in Pakistan early last month. Fugitive Indian gangsters Dawood Ibrahim and Tiger Memon accused of masterminding the 1993 Mumbai bombings have also been linked to the Karachi Project. The attack in February last year on a Germany bakery frequented by foreigners in the Indian city of Pune was also set off by the Indian Mujahideen as part of the larger Karachi Project. Headley reportedly visited Pune and conducted surveillance of potential sites for attacks and even stayed in the neighborhood where the bombing occurred. He also visited the Osho International Meditation Resort, close to the bakery. U.S.-Pakistan relations are at a crossroads. While Pakistan has assisted U.S. counterterrorism efforts in the region and helped hunt down high-profile al-Qaida operatives, elements within its powerful military and intelligence services continue to fund and support terrorist networks that help bolster Pakistan's strategic advantage over rival India in Kabul, Kashmir and the broader South Asian region. The ISI's historic alliance with Kashmiri jihadi groups such as Lashkar, HuJI and other groups, as part of its efforts to engage in proxy war with India, is a key impediment to peace in the subcontinent. Additionally, the Pakistani military's support for the al-Qaida-linked "Haqqani network" that has been responsible for the deaths of several U.S.-led coalition forces in the region continues to frustrate antiterrorist operations in the region. American security assistance can be used as an effective leverage in deterring the Pakistani government's selective pick-and-choose approach to counterterrorism. Washington must ensure its defense aid is contingent upon Pakistan taking tangible steps to eliminate al-Qaida, Taliban, and other militant groups that operate unfettered on its soil. "The U.S. must avoid abrupt action like stopping like stopping all aid, which would come at a steep price to U.S. interests in the region. Pakistan could react by cutting off all NATO supply lines that run through Pakistan to coalition troops in Afghanistan. It could also expel U.S. intelligence officials from the country, thus denying the U.S. access to valuable information that helps the CIA track terrorists." U.S. civilian aid must continue to flow into Pakistan, Curtis argues, to strengthen the country's civil society and social institutions but with better oversight mechanisms to ensure that aid money is not misdirected but used for the purposes intended.